Don’t forget to bring following items with you. Food (If you carry) – or order in advance as in train mobile battery/network may be down. Take one co-passenger of same boggy mobile no, name for any emergency contact and share your details with them. Also, if they have OMitra then you can interact without exchanging Mobile no. Take one co-passenger of same boggy mobile no, name – for any emergency contact and share family member details with them. 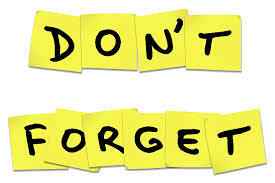 If you think we missed any item in reminder list please suggest so we can add them also and help your fellow travellers. OMitra team wish you a very Happy and Safe Journey. If sensitive to any kind of allergy, carry its medicine also. It is really useful app for regular train journey people. I will suggest to my friends. Provision to foward the list to others can be included. You Can share/forward on social media on Facebook/ Twitter etc. Wonderful aap never ever seen. Thanks for the reminder. If convenient, the departure time of the train if added may help few who had booked tickets on line. Thanks for you feedback. Will consider your request. Departure time of train is always available in OMitra App with your PNR number. Instead of showing traveling in Percentage, it is better to show figure that, for example, 221/632 (travelled kms/total kms). Nice point to think of.Thank you the suggestion Mr. Garvit. We will consider this in our next release. I want Add Visiting Card Incase Of Business Trip…. It is really good point. We will consider it to implement. Thank you for suggesting Manish. Try to intoduce train arr/dpr history at a particular station chosen by Omitra user. This isba gr8 and has a potential to upscale. That is a very good point. Thank you Raghuram. We will consider implementing that feature. I have been using OMitra train app recently and i like the interface and the app isvreasonably good. However there is scope for improving live chat feature. Also a lesser known useful feature is the Remote Quota vacancy available in long haul trains where lot of vacancies at the tail-end of trip gets wasted.For eg if a traveller on Nzm-Tvc train booked upto SRR detrains at SRR the vacancy from SRR to TVC is not captured and put to use.If that particular traveller himself posts it on OMitra it can b useful for frequent trippers like me. Please add Toothpaste & toothbrush in reminder list. Awesome app railway will take immiadate action and food was also good and dilivered on time at your seat i am fully setisfied with this app. Carry your eye glass or contact lens with their box.